Marcos Alonso, just days after a horror-show against Manchester City, has found himself out of position once again. 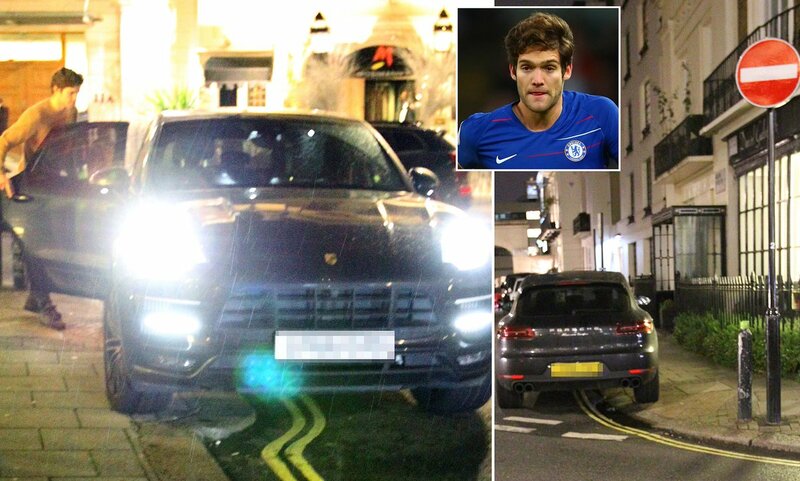 The full back was pictured parking his expensive SUV on a double yellow line in London, facing the wrong way on a one way street. This is the last driving related PR that Alonso needed, given fans of other teams already relish the fact that a young woman was killed in a crash in the car he was driving when he was a Real Madrid youth player. READ MORE: Which of Chelsea’s summer signings already want out of Stamford Bridge? It’s just not been a great week to get in trouble like this either, given AS in Spain are already reporting that there is serious discontent with the manager Maurizio Sarri in the dressing room. Then again, maybe this is just the kind of distraction that the club needed from matters on the pitch. Hopefully they are all working themselves to the bone in training, and hopefully they’ve banned Marcos Alonso from driving again.